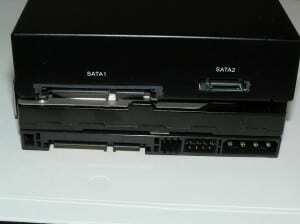 This is our first product from iStarUSA, which allows us to insert two 2.5″ laptop drives or SSD’s in a 3.5″ bay. 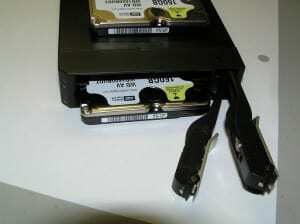 The material is aluminum and plastic with two SATA ports and one power connector on the back. The dimensions are (WxHxD) 101 x 25 x 150 mm. 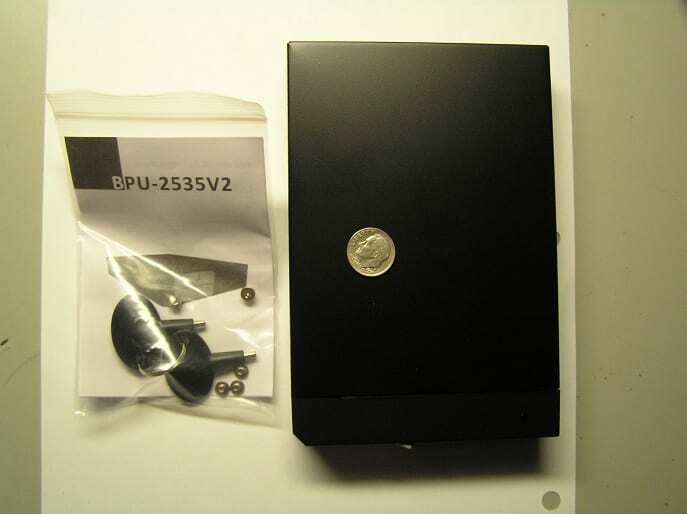 The package contains: the enclosure, manual, and keys. The internal enclosure isn’t anything fancy or unusual. It can accept two 2.5″ drives. It has a spring loaded entry with lock, preventing you from accidentally opening it. It uses an Allen key, so if you were to lose it, no big deal; a standard Allen key can open it. I enclosed two 5400rpm WD1600BUDT drives in it and they did get a little warm. The enclosure’s cooling ability could use some improvement. These are the only holes on this enclosure. The BPU-2535V2 performed well. There were no changes to hard drive throughput when used in RAID mode. Cosmetically, it looks cool, with silver latches and semi gloss black finish. It would be nice to have an open chassis for better cooling with mechanical drives larger than 4200rpm. This internal enclosure would be more suited for solid state drives, where heat is not an issue. 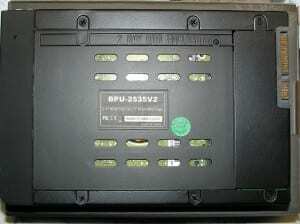 Using an Allen key to lock the bays is nice, as any size 15 Allen key would open it. For around $35, this is not a bad deal for what it does. If they can fix the cooling issue, it would give me better peace of mind that my drives will be safe from heat damage. There are other manufacturers that make something very similar and cost about the same, however, they offer better cooling… something to think about when looking for a device like this. NOTE: iStarUSA has another version model BPU-2535V2-R, which I did not review yet. This device has the ability to do hardware RAID just with a flick of a switch. 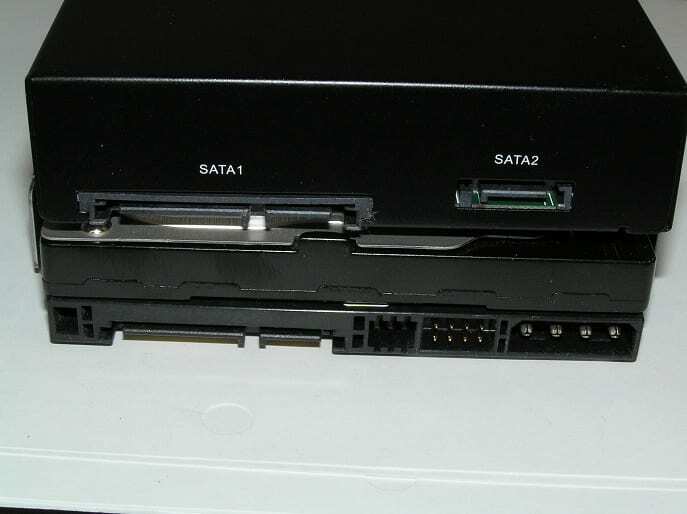 It would appear the power and SATA connectors match a 3.5″ drive. I bring this up because now you have the ability to plug this into a back plane on another RAID card or controller giving you even more hard drive speed and space. Imagine having two drives in RAID 0, technically acting as one physical drive. Add six of these enclosures totaling 12 hard drives set to RAID 0. See where I’m going with this? Intel Matrix RAID can only do a maximum of 6 drives in any RAID configuration. With this device, you can now have up to 12 drives in RAID 0, 1, or 5. 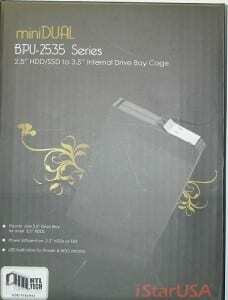 Of course it would be ridiculously expensive, however, now we have the option to do (12) 2.5″ drives. Any takers?